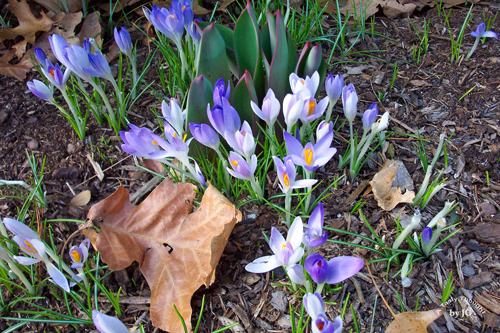 The brightly colored crocuses that have made their appearances in our front yard are a very welcome sight! Many have expanded their boundaries into our front lawn. 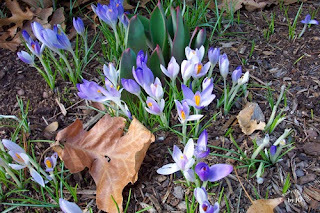 Two weeks ago we had large piles of snow and now ... ah, spring has arrived. Warmer temperatures allow for daily walks outside. Gloves and certainly not boots are necessary today. That could mean only one thing - last night our outdoor grill was heated! With April 1 two days away and word s..n..o..w mentioned, sure glad we used our outdoor grill last night! This AM there was one item that definitely needed to be started - the yogurt! Every two weeks my two Donvier Yogurt Makers take their place on my side counter. Each 6 oz. yogurt container is filled with milk that has been heated and cooled with the yogurt culture added. The culture is taken from the previous batch. When any batch tastes a bit strong, it is time to purchase a commercial container of plain, unflavored low fat yogurt to use for the next batch. Then, I start the process, again. We enjoy Low Fat Yogurt that is ready in about 7 hours and 30 minutes. The easy to follow directions are included with the handy Yogurt Maker. 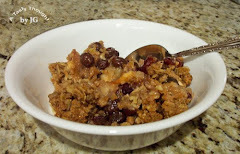 Using 1% Milk, I add a tablespoon of Powdered Milk before the Milk is heated. A very large mixing bowl comes in very handy when preparing Yogurt! My first Yogurt Maker was a 5 container Salton. For a good 20 years it was put to such great use that suddenly one day it stopped heating. 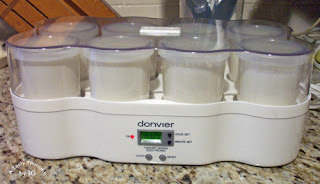 Then, I purchased the 2 Donvier Yogurt Makers. Making a double batch works very well. Regardless if the Yogurt is eaten unflavored or with fruit or jam, this delicious source of calcium is always in our fridge. Do you have 1 Cup of Buttermilk in your fridge waiting to be used? One stick of Butter? 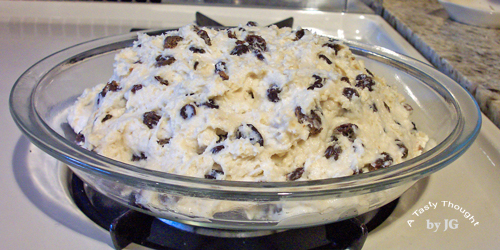 A little more than 1 Cup of Raisins? If the answers are yes, this easy Irish Soda Bread, can be prepared very quickly. My friend Carol from Charli and Me has shared this recipe many times and it has become a bread that I bake at this time in March. 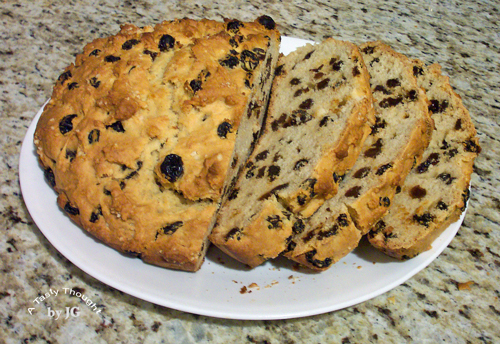 A slice of this very delicious treat, also called Spotted Dog, is enjoyed at breakfast, especially during the week of St. Patrick's Day. One year I was searching for such a bread recipe that contained no eggs and little sugar and found this recipe using "Google". It has now become a family favorite! In my family "it's all about the raisins"! 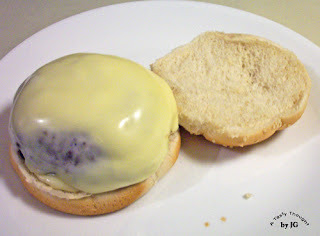 Once in my haste I melted & cooled the Butter and then found it easier to mix into the dry ingredients - hence the change. Are there times when you have a little extra pasta left after dinner? Intentionally, I prep a bit extra and into the fridge it goes to be used in a side dish later in the week. 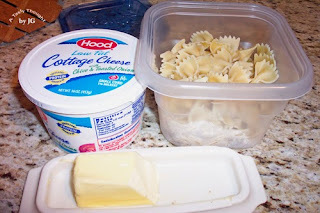 Easy Cheesy Noodles is a fave in my home. It's an oldie but goodie that I posted here almost 2 years ago. No, it doesn't take long to make, but it sure is a lot quicker if the pasta is already cooked. The precooked/refrigerated noodles need only be combined with a little Butter/Margarine, Pepper and 3/4 Cup Cottage Cheese in a microwave safe container with a cover. Before heating in the microwave, place the cover loosely on top with a little venting. Then, microwave for about 90 seconds. Carefully, stir after heating. Heat 30 seconds longer, if necessary. The Cottage Cheese will "melt" if overheated. Yes, this can also be heated in a pot on the stove top. There is usually a carton of "Chive & Toasted Onion" Cottage Cheese in my fridge - for snacking. Combined with the extra pasta at dinner - it's delicious and quick!